The life expectancy of a person with chronic obstructive pulmonary disease (COPD) is a topic that most people would rather not talk about. But if you or a loved one have been diagnosed with the disease, then you've probably spent a great deal of time thinking about it. Understanding the possible outcome (prognosis) of a disease can often motivate people to make much-needed changes that may improve their quality of life and help them live longer. In the end, the average life expectancy of persons with COPD is just that—an average. You can often exceed expectations by taking charge and addressing those factors that you can change. B is for your body mass index (BMI). O is for airflow obstruction as measured by the volume of air expelled. E is for tolerance of exercise based on a six-minute walk test. The BODE Index is graded on a scale of 0 to 10, with lower grades corresponding to longer survival times and higher grades corresponding to shorter survival times. Body mass index (BMI) is a tool used to measure the amount of body fat you have in relation to your height and weight. Low BMI (being too thin) has been associated with poorer outcome in people with COPD. Airway obstruction is measured by a simple test known as spirometry. One part of the test measures the volume of air you can expel in one second (known as forced expiration volume, or FEV1). FEV1 is a strong predictor of survival in people with COPD. 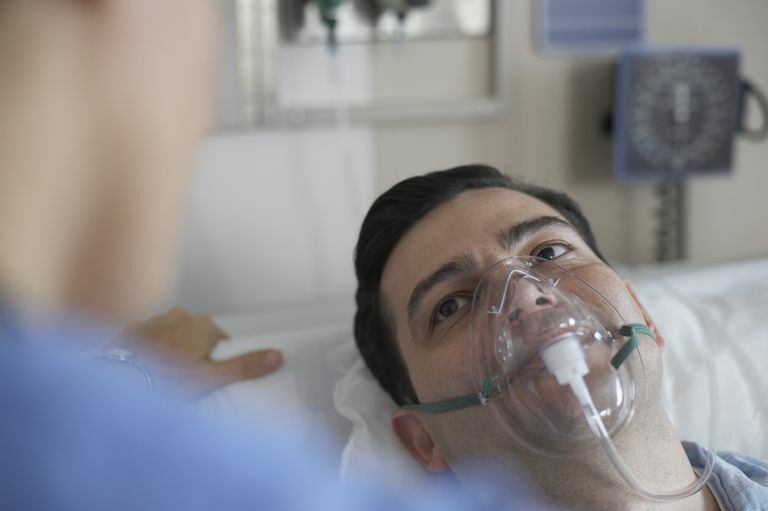 Those with severe airway obstruction on long-term oxygen therapy have low survival rates (roughly 70 percent to year one, 50 percent to year two, and 43 percent to year three). Dyspnea evaluation rates a person's perception of their COPD symptoms and translates those perceptions into a measurable value. The MMRC dyspnea scale grades the disorder on a scale of 0 to 4 (0 being the least breathless to 4 being the most). While FEV1 has been regarded as the best way to predict COPD mortality, the dyspnea level may be more significant when predicting survival. Exercise capacity can be dramatically reduced in the presence of COPD. It can be measured by using a six-minute walk test which can provide both an estimate of mortality and a baseline by which persons can effect positive lifestyle changes. The important thing about the BODE Index is not that it tells long you have to live but what steps you can take to embrace a healthy lifestyle. Chief among these is smoking. No other changeable factor has a greater impact on your survival time than the habit of lighting up. ​Quitting smoking is the single most effective (and least expensive) way to either prevent COPD or slow progression of the disease. Lung function decline can stop and even normalize once you quit, irrespective of your age, weight, or gender. Avoiding secondhand smoke means taking steps to not only address your smoking but those around you. There's no point in sitting back politely if the air you breathe contains the same carcinogenic fumes. Joining a smoking support group further increases your odds of quitting and remaining cigarette-free. Going in alone, even with cessation drugs, can be difficult as it fails to address the emotional components of addiction. These changes, along with an appropriate, doctor-led exercise program, offers the best means to ensure an improved quality of life if you have COPD. Shavelle RM, Paculdo DR, Kush SJ, Mannino DM, Strauss DJ. Life expectancy and years of life lost in chronic obstructive pulmonary disease: Findings from the NHANES III Follow-up Study. International Journal of Chronic Obstructive Pulmonary Disease. 2009;4:137-148. Torres JPD, Casanova C, Marín JM, et al. Prognostic evaluation of COPD patients: GOLD 2011 versus BODE and the COPD comorbidity index COTE. Thorax. 2014;69(9):799-804. doi:10.1136/thoraxjnl-2014-205770.